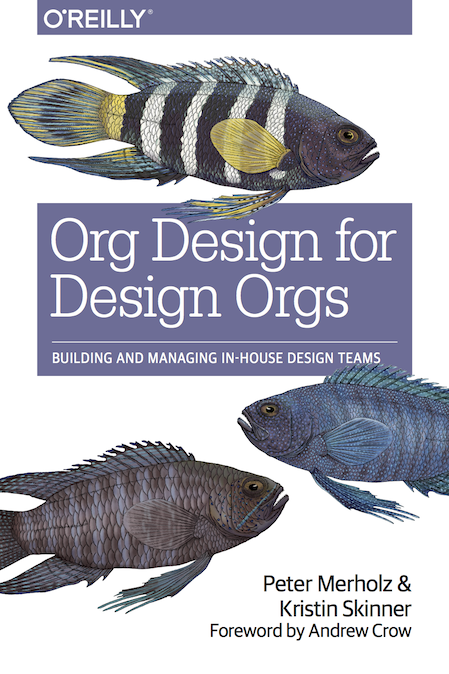 A Japanese translation of Org Design for Design Orgs is available. I wonder how the subject matter will go over. There’s a review (in Japanese, of course) that seems quite positive, so I’m hopeful the core concepts not only translate well, but feel relevant! Author petermePosted on January 4, 2018 January 4, 2018 Categories user research2 Comments on UX Research – A dedicated role, or a skill everyone develops? The answer: Yes. This breadth is necessary for delivering on end-to-end service experiences that cross-channels, devices, and touchpoints. If the team doesn’t warrant having these skills on staff, it still needs to be responsible for the work done by any contract or external folks. When we wrote this, we thought we were being quite bold in claiming design orgs should be responsible for delivery across such a gamut of practices. So much for us being bold! *Inspiration Day is a Snagajob Design team activity, where any team member gets one work day a quarter to go out and be inspired.